Do your students like engaging math activities? 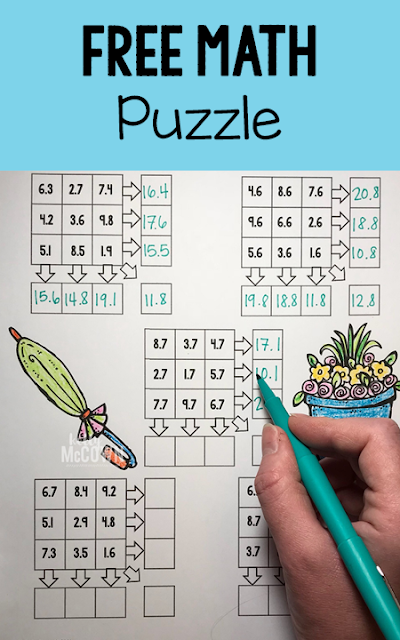 Do you want a FREE Spring Math Puzzle for them? Included in this free download are two Spring Math puzzles. It's a great way to review decimal skills. Sign up today to enjoy free monthly math activities and gift card giveaways sent to your email.